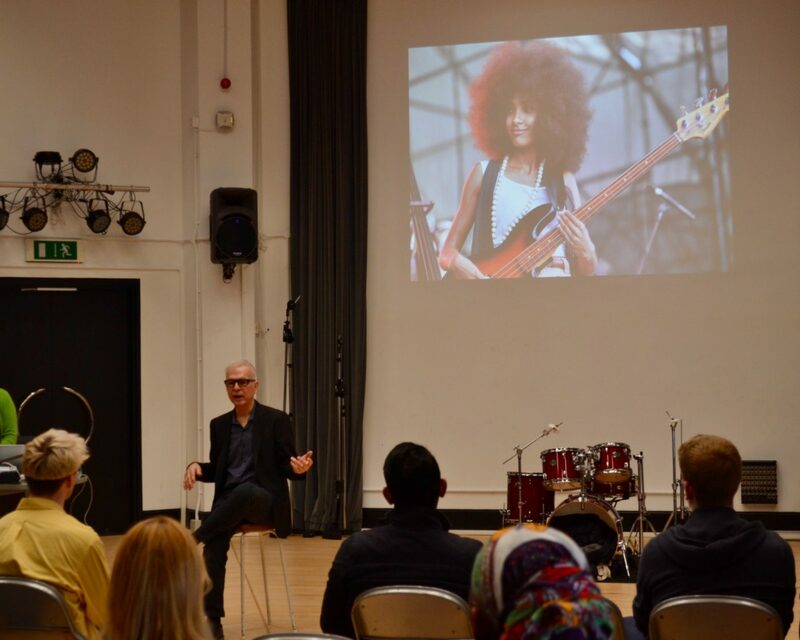 Last week we had the pleasure of welcoming our Visiting Professor Tony Visconti to the music dept for some special lectures. 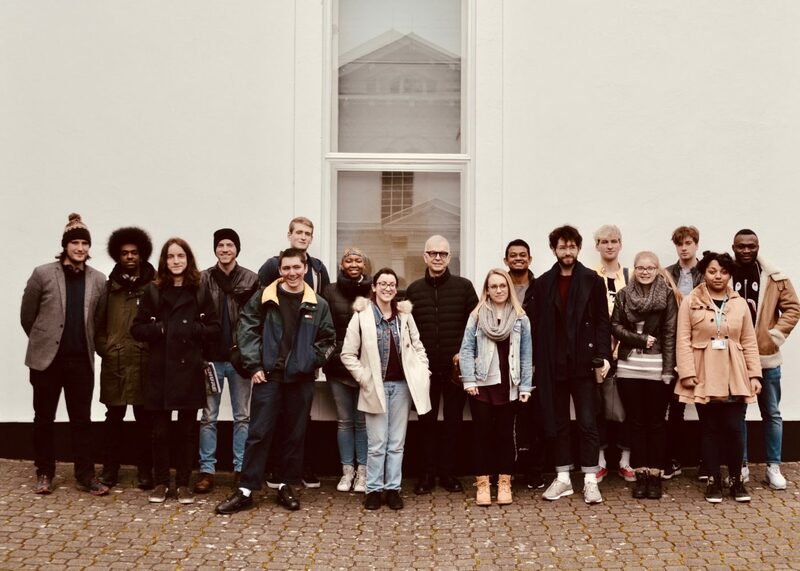 On Thursday (22nd of Feb) Tony held a masterclass focussing on his 2017 remix of David Bowie’s Lodger (from the A New Career In A New Town box set, no available as an individual release). During this session, Tony discussed the making of the original album as well as the approaches and techniques employed in the remix project. 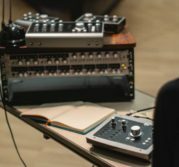 He also brought the mix stems to ‘Move On’, and pulled the track apart for analysis before rebuilding the mix. 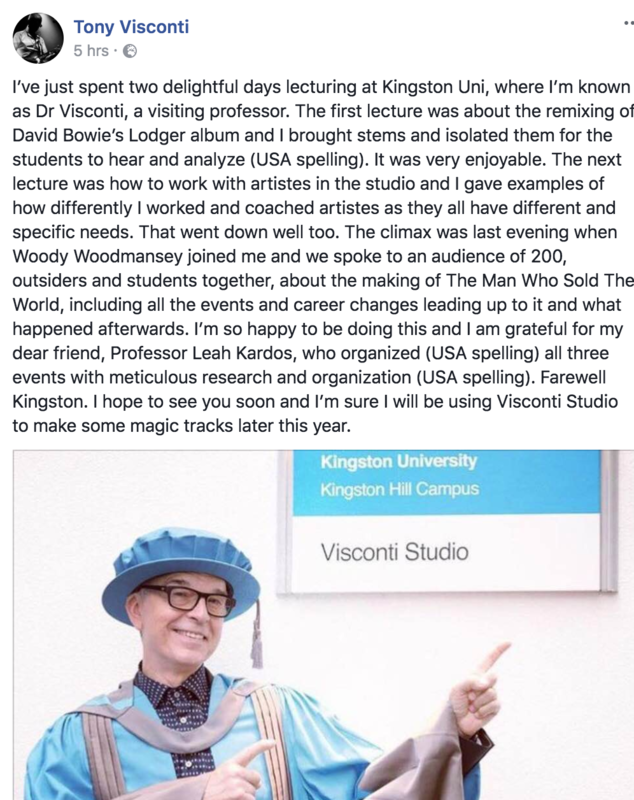 On Friday (23rd of Feb) Tony spoke in Visconti Studio to a group of lucky students on the topic of ‘working with artistes’, covering the specific different skills needed in the studio – interpersonal/soft skills, musical knowledge, encouraging creativity – to coax excellent performances from people. 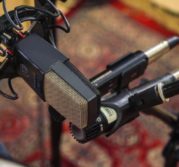 He shared valuable insights from working with diverse artists such as Joe Cocker, Marc Bolan, David Bowie, Thin Lizzie, Elaine Paige, Morrissey, Esperanza Spalding, and The Damned.